Based on the way they’ve treated me before and the lousy service, I wouldn’t buy from them if they gave me 90% back. Walmart.com. I should have been more clear. I will never deal with them again. Tried them three times and it was a nightmare every time. I tried target a couple times. I wasn’t too happy with them either. As far as I am concerned, the gold standard is Amazon. The point is to buy AND get a good ROI AND get the products delivered in decent condition AND (if you’re me) not have umpteen boxes to recycle. An extra 10% back certainly helps with the first. I can’t speak for Walmart for the second or the third. 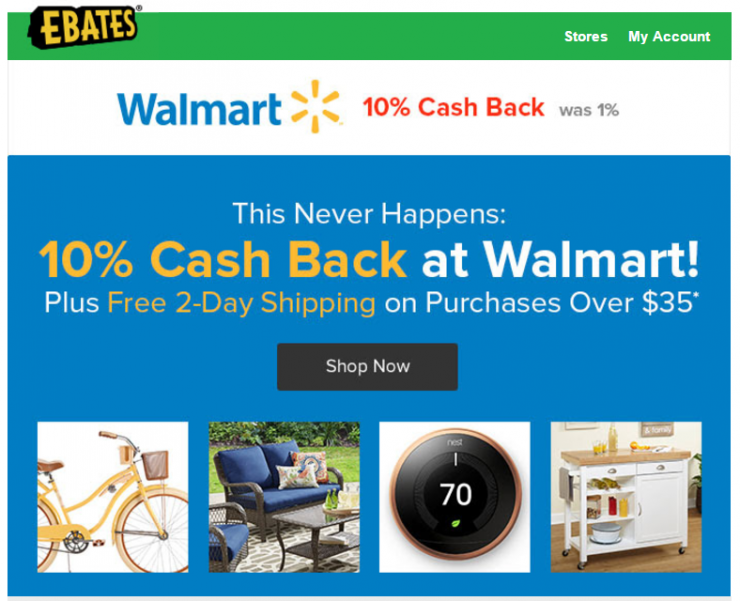 At least, at Walmart.com, you won’t be treated like a criminal, which is what I feel like every danged time I go to the Money Center at any of the local Walmarts. And, come on, Trevor, you know how shady I look! Despite my deep hatred for their corporate policies, towards customers, employees and trade partners, I’ll check it out. Because 10% is 10%. 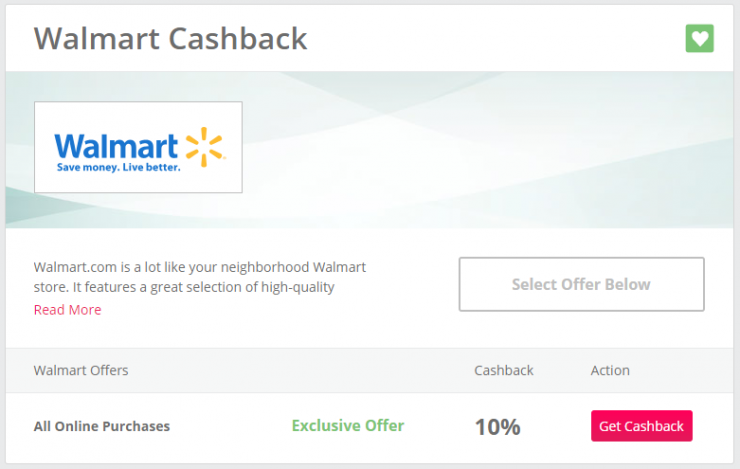 @Micki – I totally agree on the buy, ROI and get products in decent condition.. I’ve actually found Walmart to be better than the average when it comes to that. In fact, dare I say, Walmart products come back better than some Amazon Returns/removal orders (which I’m convinced use the crappiest boxes available). I can’t stop laughing at your comment about your experiences at the money center!!! Anyone who would treat you like a criminal clearly needs to be moved to another part of the store, perhaps outdoors!